Hate Crime is a serious issue for LGBT people, and experiencing it can have significant impact on an individuals emotional wellbeing. The Birmingham LGBT Centre is a hate crime reporting centre. 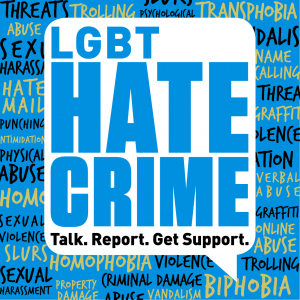 We hope by offering this service it will encourage people who have suffered hate crime and in particular homophobic hate crime to have the confidence to report it, in a safe and friendly environment. Third Party Reporting Centres are a safe neutral location within the community where people can report hate crime or hate incidents without having to contact the Police directly. Anybody can use this facility regardless of whether they are a victim, witness, or just someone who is aware of information that needs to be reported. 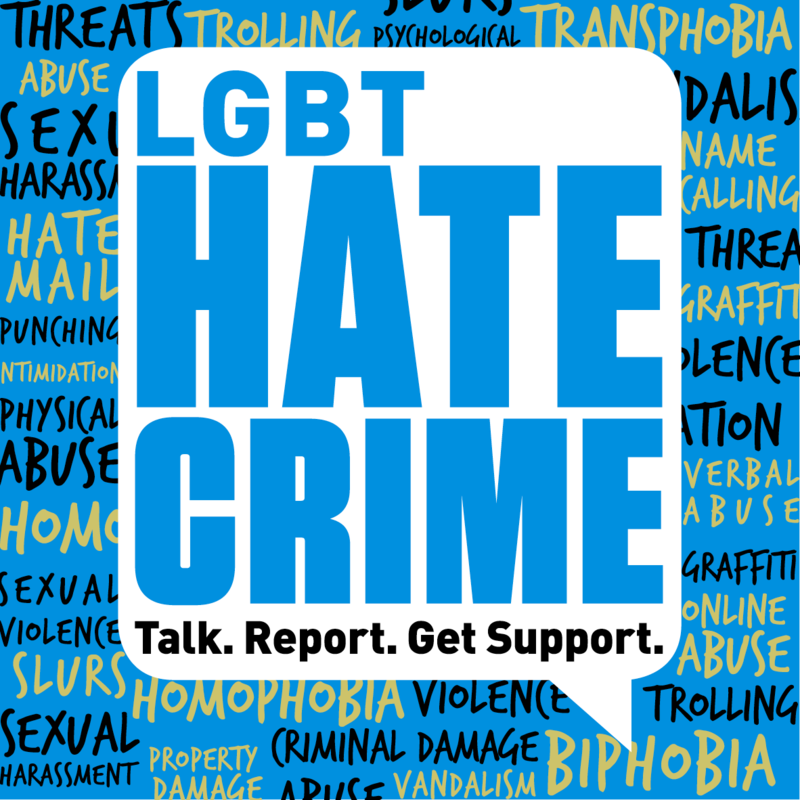 Trained staff are based at the LGBT centre to assist people with the completion of the reporting forms at www.report-it.org.uk which is an online reporting site which allows you to report any hate crime or hate related incident, 24 hours a day. You can also use this site to report online hate crime. You don’t have to give your own details when using this site and your IP address will not be traced. Fear of how they will be treated is leading to thousands of lesbian, gay, bisexual and transgender people (LGB and T) not reporting hate crimes. As a result perpetrators are evading justice, a new report published today reveals. Evidence suggests around 35,000 cases of hate crime committed against people because of their sexual orientation go unreported every year. The work, supported by GB governments and produced for the Equality and Human Rights Commission, found that 88 per cent of LGB and T people had experienced some form of hate incident leaving them with emotional and physical scars. Yet research conducted by the University of Leicester’s Centre for Hate Studies found only 14 per cent of lesbian, gay and bisexual victims reported their most recent experience of hate crime to the police. Evidence shows that while victims of transphobia can be targeted up to 50 times in one year, only three in ten report the incident.